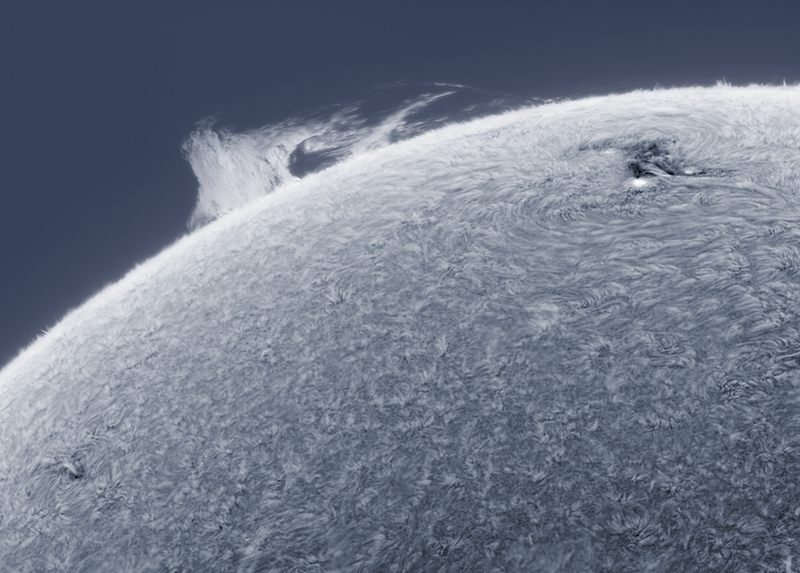 What a wonderful weekend to observe the sun! Here is a bit of action at the edge of the disk. And around the bend, this.